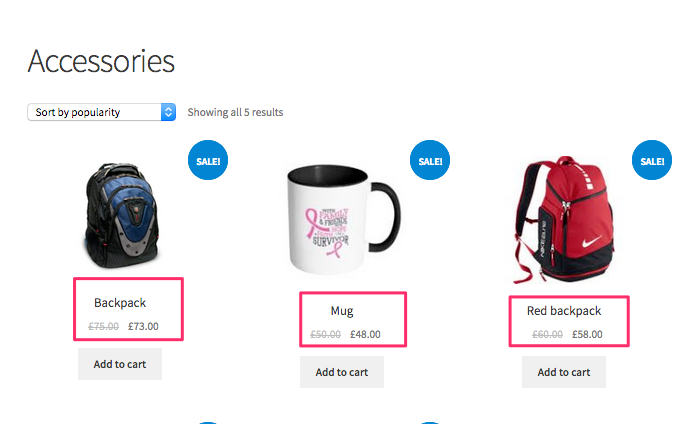 Tiered pricing or bulk discount is a great motivating factor for customers to buy more. Sometimes, you wanted to give your wholesale customers the option of purchasing the products at reduced price. Buy 1 to 10 products from Category A (or more categories) and get a $2 discount on each product or variation. Buy more than 11, get $3 discount on each product. Wholesale customers get $2 discount on each product if they purchase more than 5 quantities in the store. There could be a few more scenarios that are very similar but with some variations. The following instructions would apply for most of these scenarios and you can adjust the settings in the plugin based on your requirements. 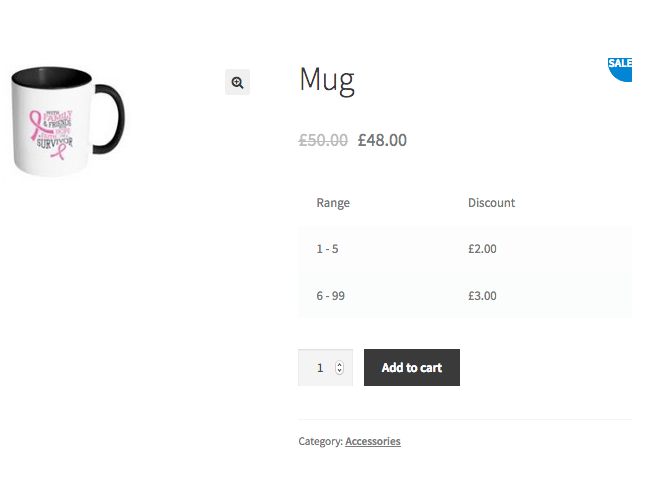 Just choose the Quantity based discount type in this tab. Since this is a specific product based discount please choose the products that you wanted the discount to apply. 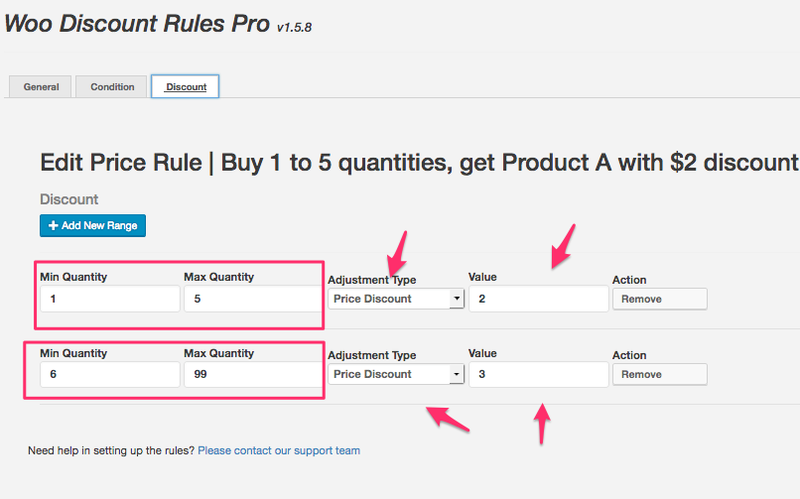 You can configure the tiered quantity ranges here with the discount amount. NOTE: The discount will apply for each product's price. Let us say, a product price is $50. If you configure a $2 discount, then the price would become $48. This is a fixed price discount. So it would apply on the price of the product. Purchasing 1 to 5 products, a $2 discount would apply for each quantity. Scenario 2: Buy 1 to 10 products from Category A (or more categories) and get a $2 discount on each product or variation. Buy more than 11, get $3 discount on each product. NOTE: Check the box to count cumulatively across the category. If you do not check, then each product quantity would have to meet the tier. 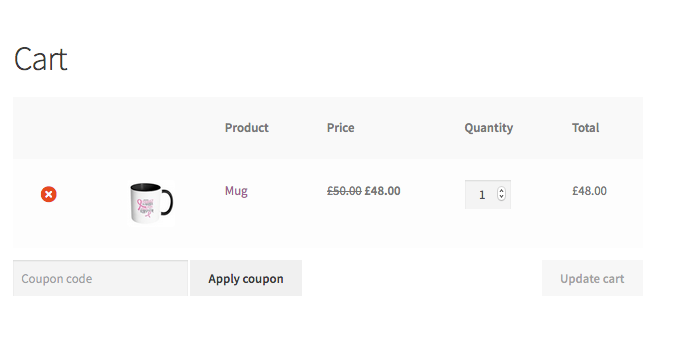 If customer purchases 5 mugs, 5 backpacks, 1 red back back, total quantity here is 11. So the discount range of 11 to 99 will apply. Customers gets $3 discount. 1 red backpack falls in the range of 1 to 10 only, so you will get $2 discount. Hope you understand the different. This will be the most common scenario as quite a number of stores would be providing a bulk discount for wholesale customers. The most part of the configuration remains the same. All you have to do is limit the discount rule based on the User Role. This lets you create a custom user role and assign users to this role. 3. What if i want to limit the application of the rule with a coupon code ?